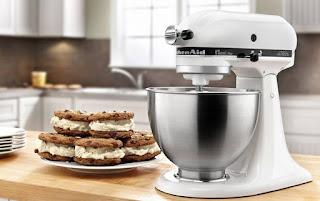 The Frugal Family Life: *HOT* Amazon : Kitchenaid 4.5 Quart Stand Mixer ONLY $169.15 Shipped! *HOT* Amazon : Kitchenaid 4.5 Quart Stand Mixer ONLY $169.15 Shipped! *HOT* Amazon has this KITCHENAID 4.5-QUART STAND MIXER FOR JUST $169.15 SHIPPED! This is a HUGE price drop! Down from $349.99! !